Twitter on Friday, after continued social pressure, felt the need to explain why world leaders are exempt from the same content policies as their other users. They also went out of their way to not mention President Trump by name. The social media platform has received a constant stream of user demands for Trump's Twitter account be banned since the election. He has often taken to Twitter to mock individuals, ethnic groups, religions, talk-show hosts, comedians, news organizations, and world leaders. So Twitter released a clarifying statement about the importance of tweets from Trump and other important individuals via a blog post. "There’s been a lot of discussion about political figures and world leaders on Twitter, and we want to share our stance. We are working to make Twitter the best place to see and freely discuss everything that matters. We believe that’s the best way to help our society make progress." 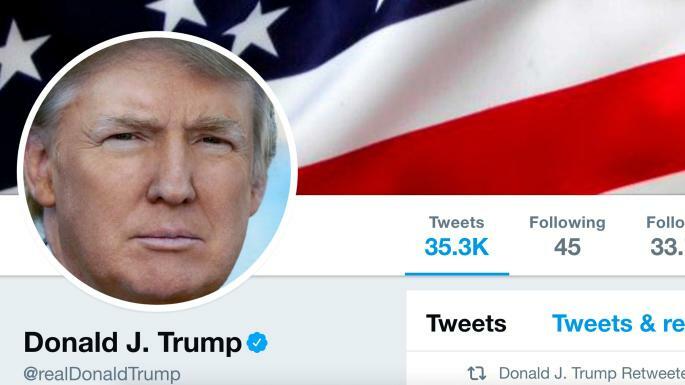 The statement by Twitter indicates that Trump's latest Twitter tirade generated another large wave of users demanding that the President-In-Tweet be relieved of his account before he trolls America into another war.